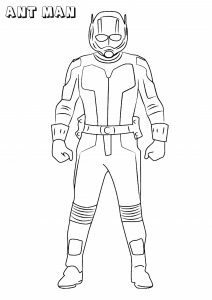 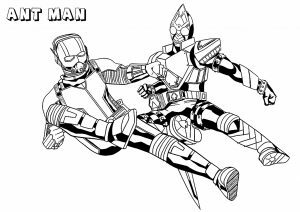 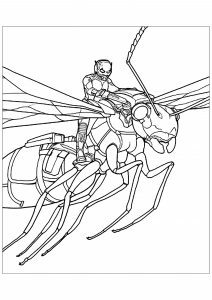 Discover Free Coloring pages inspired by the Marvel Super hero Ant-Man. 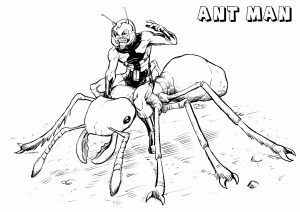 Ant-Man is the name of several fictional superheroes appearing in books published by Marvel Comics, and several movies of the Marvel Cinematic Universe. 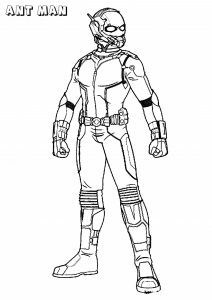 The hero, Scott Lang, was a thief who became Ant-Man after stealing the Ant-Man suit to save his daughter Cassandra \"Cassie\" Lang from a heart condition.